News > Events > The August issue of UB magazine is out now! 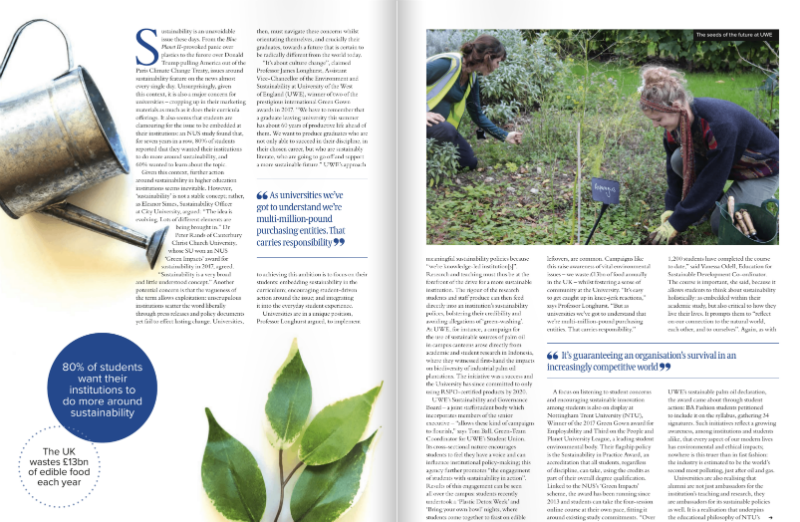 We look at the latest and best green initiatives promoting sustainable study to students and staff on campus and beyond. The priorities and challenges facing university estates managers – and a round-up of the best estates improvements this year. A look at how universities can ensure their staff are healthy and happy in the workplace. E-learning vs. traditional teaching: how has edtech changed the way we teach in HE? 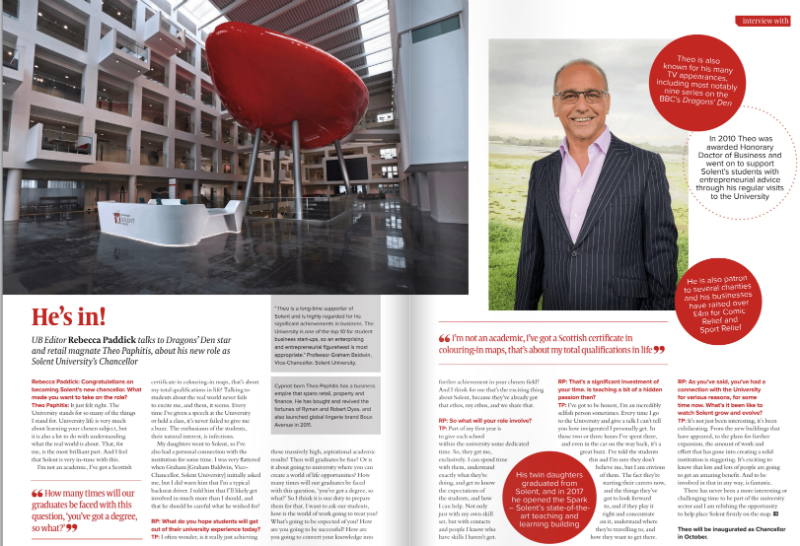 Also in this issue, we catch up with Dragons’ Denstar and retail magnate Theo Paphitis talks about his new role as Solent University’s new Chancellor, and Pixar co-founder Loren Carpenter talks VR, Toy Story, and why education should be fun. Click here to read the latest issue for free. 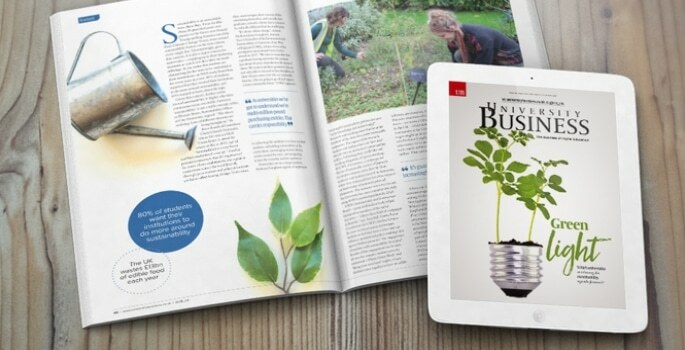 Read University Business magazine online, every month, for free!